Career Workbook for Strong Test - a Career Test Worksheet aka Career Interest Inventory Worksheet like a career research worksheet providing 15 pages of additional information about each of the six career codes including typical tasks, values, interests, industries, and combinations of them. College and career information workbook about learning information and careers information in this 13 page career workbook pertaining to your school abilities and career abilities assessed by THAB ability test. Test sold separately. Career Workbook for MBTI - a Career Test Worksheet also called Myers Briggs Worksheet. It�s a great MBTI worksheet for verifying career results from Myers Briggs tests. Verifying MBTI test results is critical since MBTI tests are the most susceptible of all career tests to being skewed. Outlines specific steps to verify MBTI test results. When verified, the MBTI test results produce highly accurate and very extensive information - more so than any other career test. How do you find your purpose? Whats my mission and vision and my purpose in life. Search core values or soul's essence to find my real mission - purpose - vision. Write my mission statement for life mission, write my purpose statement for your purpose on earth, write my vision statement your future life using this career workbook. Asking yourself "What is my talent" or "what is my career"you'll find your talent and your best career with this book and THAB ability test. 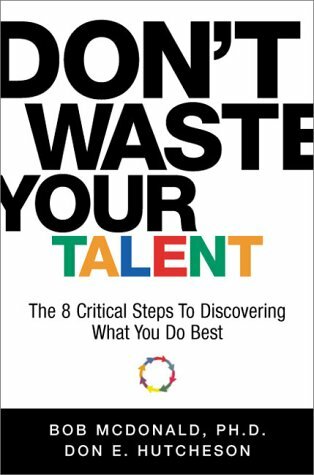 Don't Waste Your Talent (book) offers talent ability quiz, skills quiz, personality quiz in the 8 critical steps to discovering your talent and your best career. One of the best career books on the market today. MBTI® books - Introduction to Type® Myers Briggs® Book 43 page career booklet of MBTI® types, MBTI® scales, and various combinations of MBTI® scales. Excellent resource. 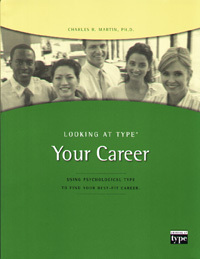 MBTI® books - Introduction to Type® and Careers - Myers Briggs® Book - best way to find MBTI® careers or MBTI® Career Choice for your MBTI® type lists most popular careers for your type, along with job search strategies for your MBTI® career type. MBTI® books - Introduction to Type® and DynaDevelopment - Myers Briggs® Book on MBTI® Development and Myers Briggs® Strengths and MBTI® dynamics - a 43 page MBTI® booklet featuring the hierarchy of type, interactions of dominant and auxiliary functions, development of your type from infancy and model for lifelong growth. MBTI® books - Introduction to Type® and Innovation - Myers Briggs® Book on MBTI® Innovation and MBTI® Leadership - a MBTI® booklet for the Innovator or Entrepreneur - a 38 page MBTI® booklet featuring the innovation process and how each type innovates specifically their contributions, challenges, blockages, needs and priorities plus action plan. 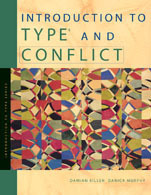 MBTI® books - Introduction to Type® and Change - Myers Briggs® Book on MBTI® Change a 44 page MBTI® booklet featuring using type in organizational change, managing change, dealing with loses, fatigue, confusion and stress, as well as leadership and resilience. MBTI® books - Introduction to Type® and Decision Making - Myers Briggs® Book on MBTI® Decision Making - a 52 page MBTI® booklet featuring your decision making style, the four type lenses, and the five core decision making processes plus several decision making applications. MBTI® books - Introduction to Type® and EQ - Myers Briggs® Book on MBTI® emotional intelligence or MBTI® EQ - a 54 page MBTI® booklet featuring the EQ of each MBTI® type, of extroversion/ introversion, and of the eight functions, plus a development summary. MBTI® books - Introduction to Type® and Leadership - Myers Briggs® Book on MBTI® Leadership or Myers Briggs® Management or MBTI® Management - a 58 page MBTI® booklet featuring leadership style, assets and challenges for each type including setting direction, inspiring others, mobilizing to accomplish goals, broadening your style and leadership mindset and your natural leadership development path. MBTI® books - Introduction to Type® and Learning - Myers Briggs® Book on MBTI® Learning Styles or Myers Briggs® Learning Styles or MBTI® Learning - a 58 page MBTI® booklet featuring the top ten learning strategies, how each personality type characteristic learns best, and description of each of the eight learning styles. MBTI® books - Introduction to Type® and Project Management - Myers Briggs® Book on MBTI® Project Management or MBTI® Management or Myers Briggs® Management - a 52 page MBTI® booklet featuring type characteristics and approaches in managing projects including mission, scope, schedule, cost, stakeholders, team, deliverables, outcomes. MBTI® books - Introduction to Type® and Selling - Myers Briggs® Book on MBTI® Selling and MBTI® Sales or Myers Briggs® Sales - a 30 page MBTI® booklet featuring how to apply type sales strategy and customer understanding, and matching your customer's sales preference to be a more effective sales person. MBTI® books - Introduction to Type® and Teams - Myers Briggs® Book on MBTI® team building or MBTI® Team a 52 page career booklet includes MBTI® type at work, in team culture, and as leader as well as communication, problem-solving, change and stress management strategies.